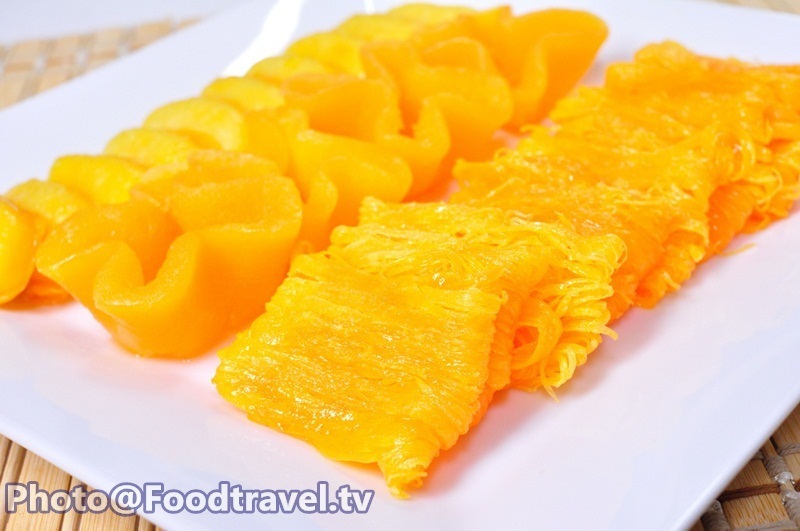 Thai Dessert Gold Egg Yolks Thread (Foi Thong) - We made this by dropping yellow color in a long line shape in the boiled syrup. It can say that this is the intelligence of our ancestors that they can invent this exquisite Thai dessert. And the taste is so delicious as well. 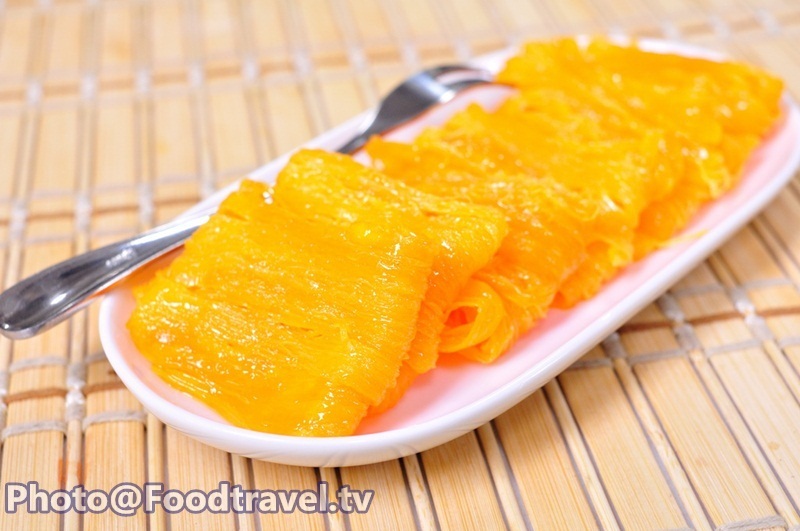 Thai Dessert Kanom Foi Thong - Golden Threads is a traditional Thai dessert. We made this by dropping yellow color in a long line shape in the boiled syrup. It can say that this is the intelligence of our ancestors that they can invent this exquisite Thai dessert. And the taste is so delicious as well. 1. Boil water, sugar, pandan leave, jasmine scent together in a brass pan. Use high heat and do not stirring, unless the sugar will crystallize. 2. Beat eggs and duck eggs together. Filter with colander and then put in a cone. 3. Leave pandan leaves and drops egg in a long line shape around the brass pan about 20-30 cycles per one piece. 4. Use a pointed stick to gently ladle Foi Thong in piece. Set aside on a wire rack 30 minutes. 5. Fire up the candle until have the smoke then blow it. Bake Foi Thong and candles together in closed container for 10 minutes, it would have nice smell. Thai Dessert Gold Egg Yolks Thread (Foi Thong) We made this by dropping yellow color in a long line shape in the boiled syrup. It can say that this is the intelligence of our ancestors that they can invent this exquisite Thai dessert. And the taste is so delicious as well.